The New Inlet is located on the upper Massachusetts Coast about 20 miles south of Boston and 25 miles west-northwest of Cape Cod. The New Inlet allows access to the North and South rivers, where a variety of maria facilities can be found. 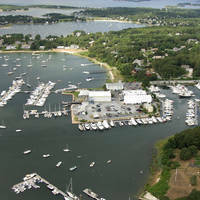 The biggest concentration of marinas is found in Ferry Hill, which is about two miles south of the inlet on the (appropriately) South River. 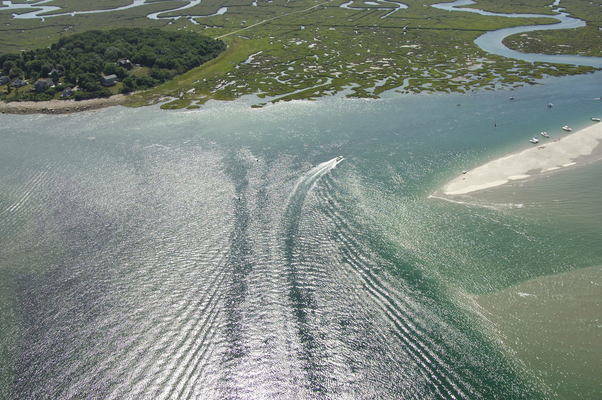 Farther up the North River north of the inlet are also a few marinas, but your boat must be shallow draft - depths are three feet or less in the upper reaches. 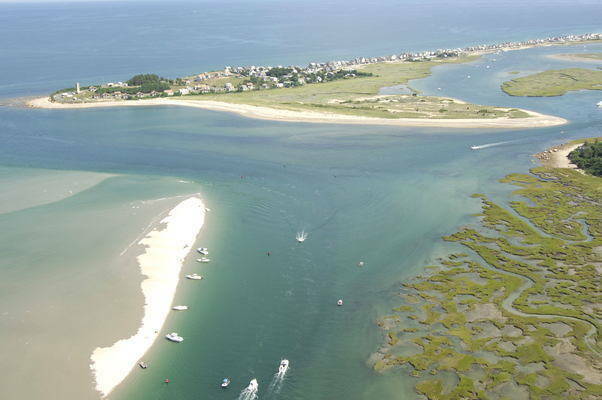 The image above is a view from the northwest looking southeast over the New Inlet at the Atlantic Ocean. 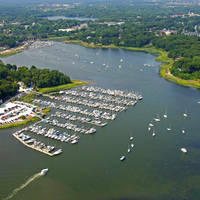 Off in the upper right-hand portion of the image, the entrance to the South River can be seen, while in the bottom portion of the image several boats can be seen coming and going from the North River where it meets new Inlet. Past red nun buoy 4, depths remain at eight to 12 feet until you reach re nun 6 and green can 7 where depths shallow slightly to six feet before deepening again at red nun 8. From here, you can either head north on the North River or turn to port to work your way down the South River toward Ferry Hill and a good variety of facilities. 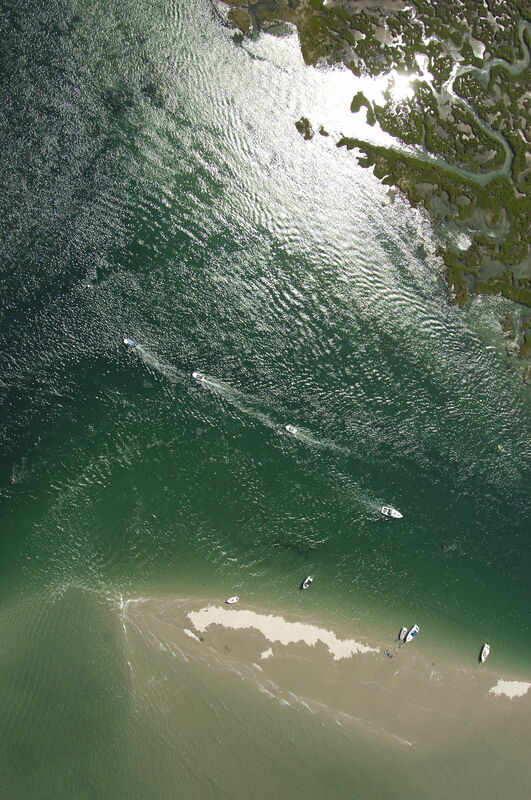 Both passages have shallow spots and require local knowledge. No reviews yet! 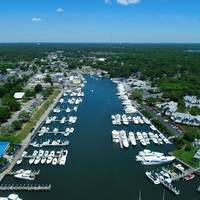 Be the first to write a review of New Inlet.